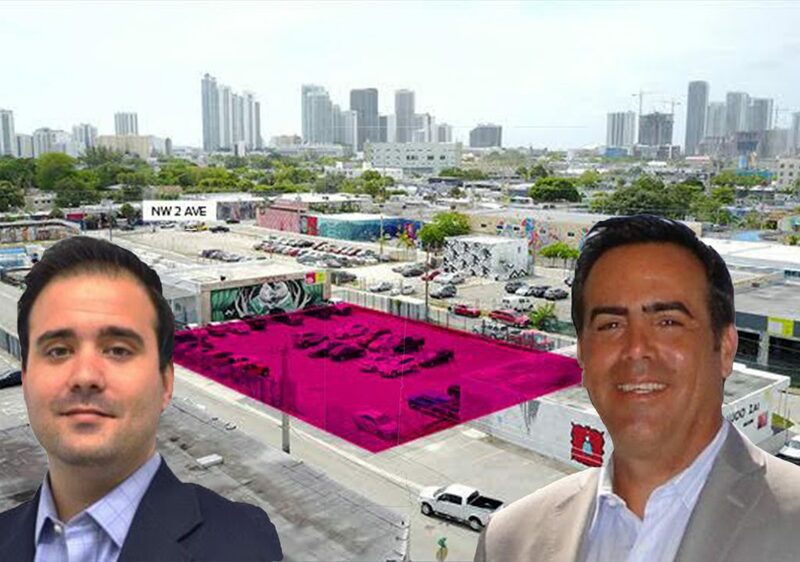 Thor Equities just put a Wynwood development site on the market for $6.75 million, The Real Deal has learned. The 14,750-square-foot parking lot at 269-285 Northwest 27th Terrace is across the street from Thor’s mixed-use project planned to have rental apartments, retail space and a garage. The price equates to $458 per square foot. The larger site of the planned mixed-use project is not on the market, but also could be available for $45 million, according to a source familiar with the property. Metro 1 Commercial’s Tony Arellano and Whitehall Realty Advisors’ Devlin Marinoff have the listing for the smaller lot. Records show New York-based Thor, led by Joseph Sitt, bought the site as part of a $26.9 million purchase in May 2015 of nearly a square block at 2801 Northwest Third Avenue. The purchase included seven parcels between Northwest 28th Street and Northwest 29th Street, and between Northwest Second Avenue and Northwest Third Avenue. Thor is planning to develop Wynwood Plant, a 12-story building that would house 306 residential units, nearly 67,000 square feet of retail space and 673 parking spaces off Northwest Second Avenue between 28th and 29th streets. Arellano said Thor is now selling the parking lot because it is a piece of its assemblage that’s not necessary for its development plans. The source familiar with the property said its final sale price is likely to be in the $5.1 million to $5.3 million range. The lot is zoned T5-O NRD, which allows for a variety of uses, including a multi-tenant retail building or an eight-story hotel with a ground floor retail or restaurant space. The area between Northwest Second Avenue and Northwest Third Avenue in Wynwood is undergoing a transformation. Nearby on Third Avenue, Goldman Properties is building an eight-story, 428-space parking garage. “Wynwood is one of the few markets in the country, especially in the new retail environment we are in, where demand far exceeds supply” and rents are rising, Arellano said. Leasing rates in the core area of Northwest Second Avenue range from $80 per square foot to $130 per square foot, and on Northwest Third Avenue, from $65 per square foot to $80 per square foot, he said. Thor has been active in Wynwood in recent years. In September 2015, the company paid $41.5 million for an entire block at 2800 Northwest Second Avenue was formerly the 68-year home of Lehman Pipe & Plumbing Supply. There, Thor plans to create Wynwood Walk, a new retail project on 2.3 acres that will include building a new-two story building with 20,400 square feet of commercial space and renovating three existing warehouses with another 36,884 square feet of commercial space between Northwest 28th Street, Northwest Second Avenue and Northwest 29th Street. Other mixed-use developments planned include Wynwood 26, to be developed by the Related Group and Block Capital Group. The project at 51 Northwest 26th Street will have 174 apartments and 35,800 square feet of commercial space on the ground floor. Also, East End Capital is planning Wynwood 25, a 400,000-square-foot project with 289 apartments, 31,000 square feet of ground floor retail and 340 parking spaces at 339 Northwest 24th Street.